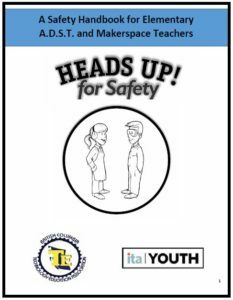 Heads Up for Safety are booklets specifically designed for elementary Makerspaces and for middle school and secondary school shop teachers that has been created by the BCTEA, Ministry of Education and ITA. 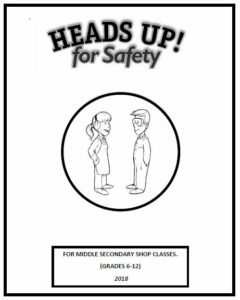 These booklets can be used in full or as a guide to helping individual teachers create their own specific safety booklets and tests. Elementary Heads Up for Safety – NEW. This booklet has been designed for use by teachers in a younger setting or where light power tools will be used. Heads Up for Safety – Secondary (October 2018) – NEW. This booklet has been redesigned by practising Tech Ed teachers,for use by teachers, in a shop setting at the middle school and secondary level. NOTE: An editable version in word will soon be posted as sections.